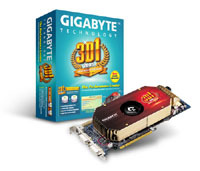 GIGABYTE Technology Co. Ltd., a world-leading VGA card manufacturer, today introduced the much anticipated GV-3D1-68GT, the most powerful and technically advanced GIGABYTE graphics accelerator card to date with a monster score of more than 20,000 in 3Dmark03, and just under 10,000 in 3Dmark05. 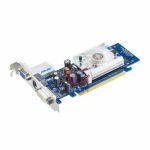 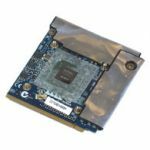 As the successor to the infamous GV-3D1 that debuted at the beginning of the year, the GV-3D1-68GT is designed around proprietary technology from GIGABYTE that harnesses two GPUs together in a single VGA card SLI configuration. 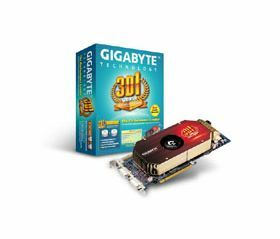 Improvements to the new GIGABYTE 3D1 VGA card-series flagship include dual 16 pixel pipelines from two GeForce 6800GT GPUs, quad-view support for up to four displays at a time, and compatibility with a somewhat wider range of motherboards than the initial 3D1 VGA card offered.